GeekVape Griffin 25 RTA, which is suitable for DIY lovers, has 6ml large capacity to meet your daily needs. It adopts top airflow desigh with travel-to-the-coil structure. You will enjoy time and achievement of handcraft with this RTA. GeekVape Griffin 25 RTA, which is suitable for DIY lovers, has 6ml large capacity to meet your daily needs. It adopts top airflow design with travel-to-the-coil structure. You will enjoy time and achievement of handcraft with this RTA. • Three-month warranty for Griffin 25 RTA. This is one of the easiest tanks to build on,the quality is excellent,the juice fill ports are huge and you can use any type of bottle or dripper!there is 2 glass,lots of post screws,o rings etc,it arrived very well packaged-with no damage whatsoever! GeekVape Griffin 25 RTA Top Airflow Tank is a 6ml tank. 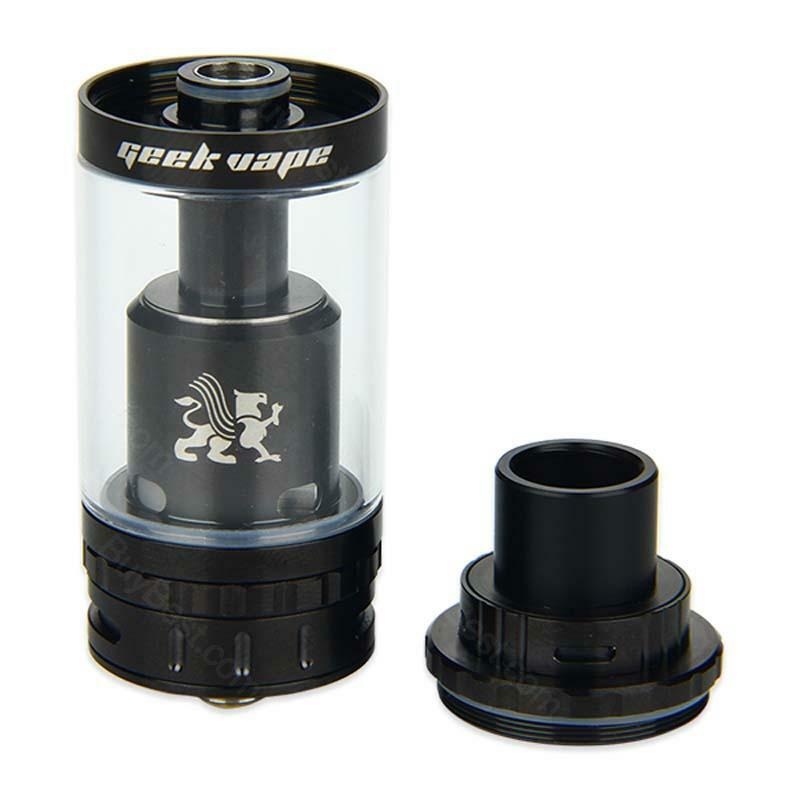 Top Airflow Version Tank with travel-to-the-coil structure for more airflow. This RTA version will be give you a different experience from standard verison Griffin 25 tank. Rebuildable Tank Atomizer.